Araknis Networks® 500 Series Indoor Wireless Access Point Provide faster wireless speeds and better signal reliability with the Araknis Networks 500-Series 1200 Indoor Wireless Access Point. Equipped with the latest AC wireless technology, this WAP offers faster network speeds than ever before, while high TX power ensures proper coverage throughout your install. And because it operates via concurrent radio interfaces, you’ll get automatic dual-band steering between 2.4 and 5 GHz bands for optimal performance. Add in remote management via OvrC and a sleek design, and you have a WAP that can’t be beat. With 2.4 and 5 GHz radio signals running concurrently, you have more availability for traffic and less chance for a slow connection. As an added convenience, we’ve included band steering, so the WAP will automatically position 5GHz clients onto that respective radio signal, decreasing congestion on the 2.4 GHz radio and providing the best user experience possible. Combined this with a 2×2:2 Wireless-AC antenna, and you’ll provide clients will incredible speed and a reliable connection. 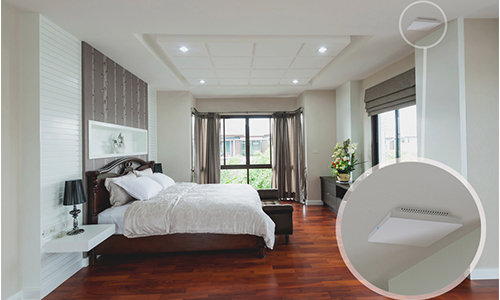 This WAP’s square shape gives it the versatility to suit ceiling- or wall-mounted applications. 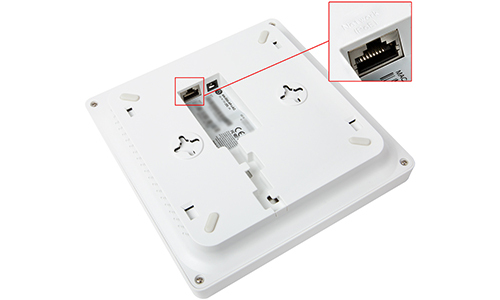 Each WAP comes with a mounting plate to fit both single-gang or double-gang outlets. Plus, we made our mounting holes arched – just give the device a quick swivel. A mounting template is also included in the box, and for mounting to a dropped ceiling, we’ve included a backing plate. Araknis Networks® products have a 2-Year Limited Warranty. This warranty includes parts and labor repairs on all components found to be defective in material or workmanship under normal conditions of use. This warranty shall not apply to products which have been abused, modified or disassembled. Products to be repaired under this warranty must be returned to SnapAV or a designated service center with prior notification and an assigned return authorization number (RA).